The medical profession is now warming up to the fact that being on Google can benefit their practice in a big way. A larger number of people now prefer using search engines to find dentists in their neighborhood. This has made it crucial for all professionals to maintain a highly-visible profile on Google +. However, the online marketing space can be a little complex, to say the least. Read on and you may find the fog lifting from the Google + mystery! You will be able to use it in a more effective manner, to boost your business’ visibility, on the Internet. When it comes to Google +, there are a few key platforms that you should keep in view. Google Plus- This is the basic account that is specifically for individuals. It is somewhat like your personal FB account and will not have any of the functionalities that a business page provides. At the outset, there were no business pages available on Google and the dentists who started out early on their online marketing efforts, used their Google+ page to effectively represent their businesses. Google+ Local- This was previously called Google Places but now it’s Google + Local. This caters to small local businesses and is useful for dentists. This is like an online directory, has reviews and pulls a lot of information from your Google + Business page. For directions, it connects directly to Google Maps and is available only to those who have joined Google. As a dentist, it’s only your Google+ Business page that you have to worry about setting up. You do not have to worry about Google maps, Google+ Local or even a personal Google + profile. You should focus on setting-up a verified Google+ Business page. Typically, these would show up as 3 different businesses and it would be difficult for patients to determine which one was legitimate and Google would face the same quandary. When you verify one of these listings, you can then update any one name that you prefer for your office & delete the 2 incorrect listings. Use the exact same information on your Google+ Places as the one that you plan on using for other online directory listings like Yellow Pages or Yelp. It’s also important to choose your categories correctly and ensure that you are picking the ones that are specific to your office. There are a number of dental-related categories on Google+ that you can choose from. Now, for instance if you find some interesting post about the latest gum treatment, you can specifically share it with the “Endodontists” circle. If there is information you want to send only to patients, share it on the “Patients” circle. Google + is a great Reputation Management tool and your patients can leave reviews on it. When anyone looks for a dentist in your area, those reviews will show up under your listing. Dentists who have more positive reviews will have higher rankings compared to those who don’t have any reviews at all. Ideally, there should be no second thoughts about whether you need Google + or not. It is definitely a necessity. The truth of the matter is that a whopping 97% consumers search for various local businesses online. Spend some time or have an online marketing professional, like River Bridge Design, set up your Google + page and very soon you will notice a positive difference in the total number of people walking into your practice. 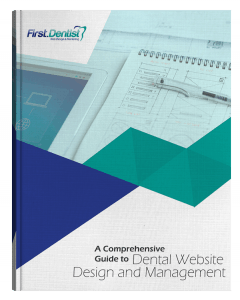 Subscribe and download our ebook that covers everything you need to know to build an incredible website for your dental practice.